Property Details: 2 BR, 2 BA Beach Home with 750+ sq. ft.
Naples is a city on the Gulf of Mexico in southwest Florida that’s known for shopping, beaches and golf courses. Naples in southwest Florida is a popular, charming beach destination on the Gulf Coast, with numerous luxury hotels and resorts along miles of sugar-white beaches - where the gulf's surf is gentle and the people are friendly. Naples has an array of shoppers venues, including antiques, home furnishings, clothing and jewelry. 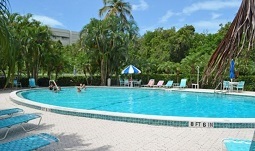 Naples has a relaxing atmosphere and an abundance of outdoor activities such as golf, tennis, deep-sea fishing, etc. There are numerous restaurants that serve and variety of excellent cuisine. Naples convenient to secluded islands and the amazing wilderness of the nearby Everglades National Park - the Naples Pier is the city’s icon, and is a popular fishing and dolphin-watching destination.